The warmer weather over the weekend has me inspired by thoughts of spring. The combination of Rose Red, Watermelon Wonder, Peekaboo Peach, and Daffodil Delight creates a soft yet bright hand painted background. A few vellum leaves cut with the Botanical Builder Dies adds another layer of softness and interest, and some silver sequin trim provides some shine and interest. 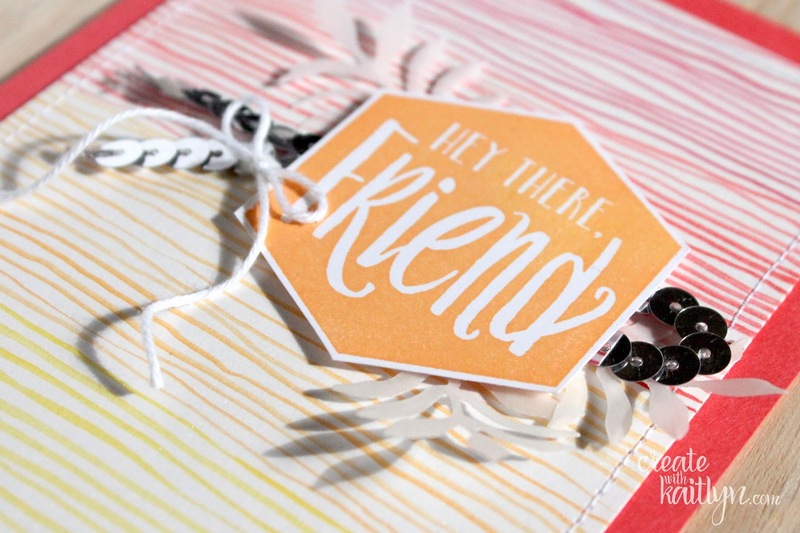 The sentiment from the Scenic Sayings Stamp Set is the perfect compliment to the background. To see some more amazing projects, be sure to use the buttons below to continue along the hop.